Just enjoy what you do, that’s the most important rule of it all. Who are you and where are you from? Labels? Affiliations? 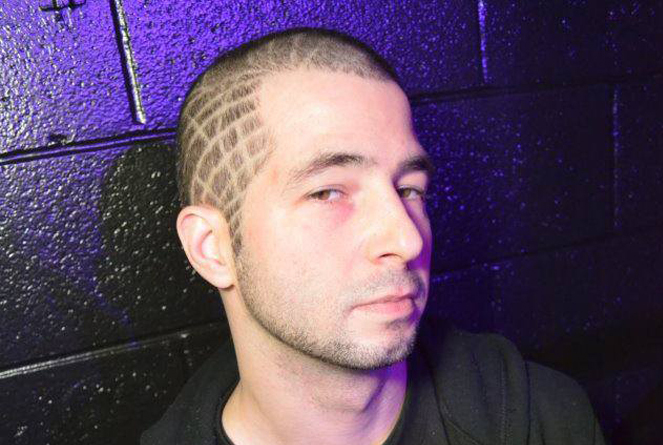 Michael Valenti aka DJ Miracle aka Miracle Incession, signed and affiliated with Don’t Look Productions. Do you remember your first introduction to music software? Back in high school, Fasttracker 2 and Scream Tracker… old DOS programs, does this make me old? Often times users of music production software migrate through a few different programs until they settle down with one or more that speak to their personal needs and workflows, could you describe your journey through the DAW world. As I was mentioning, I began writing music back in high school using Fast Tracker 2 and Scream Tracker, which back then I was using very low quality samples and had very little knowledge about music production. Eventually a few years later I was introduced to Sonic Foundry Acid Pro (now owned by Sony) which I was doing more edits of popular tracks instead of originals, using Sound Forge to do sample editing as well. I was later shown Propellerheads Reason 1.0 which I really liked the fact that you could actually rewire the hardware units within the program as if it were real hardware. I would still use Acid Pro just to beatmap any samples or loops or vocals I was going to use in my songs in Propellerheads Reason. Then one day a close dj/producer friend of mine turned me onto Ableton Live version 3.0, which I picked up very quickly based on experience with other DAWs I would use in the past and not to mention the convenient help box in the bottom left corner which explained the different buttons & knobs and how to use different tools within the program. I found that to be a very welcoming and helpful tool to help someone who is new to Ableton and their layout. Please describe your workflow with regards to your creative process. Workflow for me, well most of the time I start a track with a beat, not always tho, sometimes piano, all depends. I usually pick my drums and spend a good amount of time on constructing a strong rhythm before I add any other elements. Once the beat is phat, I basically create different patterns for each of my elements, beat, bassline, melody, vocal hooks, etc.. Then I basically create the middle part of the song first, then structure out the intro and outro adding and removing elements piece by piece. How do you use Liquid Rhythm in the studio or on stage? Both. My main use for Liquid Rhythm is in the studio. What hardware controllers do you use with Liquid Rhythm? My two main controllers are the Ableton Push and APC40 by Akai. Any controller will do though. MIDI mapping is still MIDI mapping at the end of the day. Describe the process of beginning a song? Do you start with a drum rhythm or with a melody? Rhythm first usually, but sometimes melody tho. All depends where my inspiration comes from. PC all day, and all of the night. Creatively speaking, what kind of advice would you give to someone who is just starting out and looking to get into making electronic music. Find an easy DAW to get started with to learn the basics of beat creation and sampling, the DAW you use isn’t so important as your workflow (the rate or speed that you work at to get projects finished in a timely fashion). If you know someone who produces music, try spending some time with them if they will allow you to so you can pick up some pointers in a one-on-one scenario, or theres a MILLION tutorials out there on Youtube and such on almost any DAW or plugin you might want to learn. The rest comes down to being creative and having fun. Don’t make music to try and get rich, because you’ll get broke first before you get rich. Just enjoy what you do, that’s the most important rule of it all. What do you want to see from music production software in the future? Anything that will help speed up the workflow. Nothing specific I can think of off hand. Well I’m constantly writing new music of many different genres from house & tech to electro, but I also work with some local bands (behind the scenes tech stuff, intelligent light sequencing, remixing as well), and also producing and engineering for individual artists. What are some pain points in your production workflow you’d love to see improved? Mastering… ughhh. That’s a whole other can of worms! !